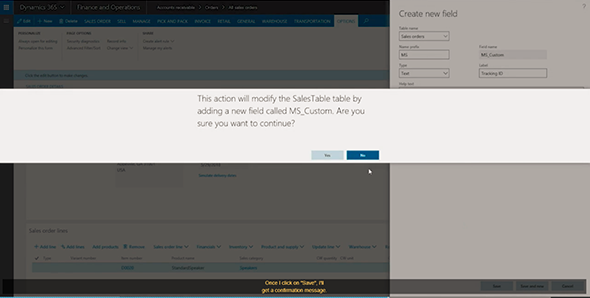 One of the most useful new features found in the spring 2018 release of Microsoft Dynamics 365 Finance and Operations is the ability to customise forms and tables directly in the user interface, without the need for any coding. Using a sales order as an example, let’s see how to add a new field to a form. 1. When you click on Personalize this form in the Options ribbon, you will find in the toolbar that the ‘+’ has been replaced by ‘Insert’. 2. Click Field and then click in the pane where we want to add a new field. 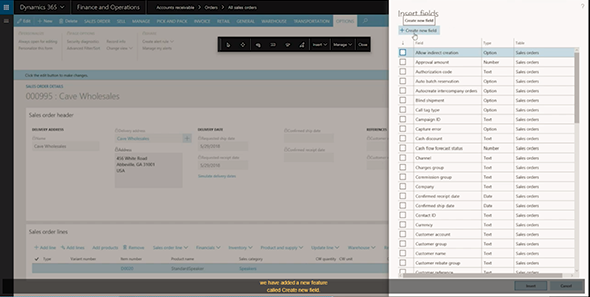 We will add a field in the Sales order header. 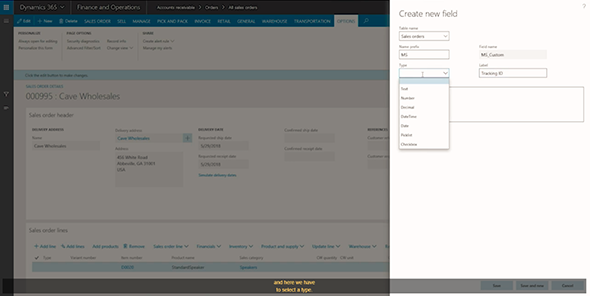 As before, the Insert fields side panel opens, but now there is the option available to + Create new field. 3. We need to complete the details, add a Label name, and a tool-tip description if required. The standard types are available to choose for the type of field. 5. The newly created field will appear at the top of the list of available fields. Click Insert, and after refreshing the page, the new field is ready to be used. 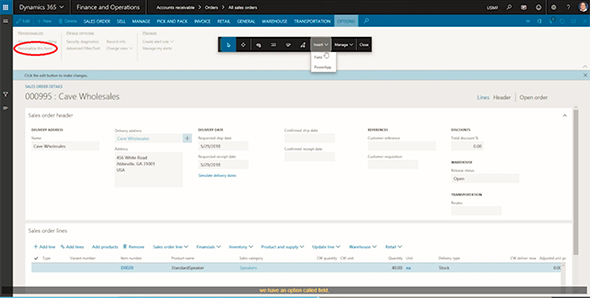 This ability to add user-defined fields is one of the new features Microsoft is adding to Dynamics 365 Finance and Operations to make it more flexible and customisable for power users without the need of coding.